I didn’t have the time to post these Valentines before the day, but here’s what I came up with this year. First, I LOVE our new framelits! 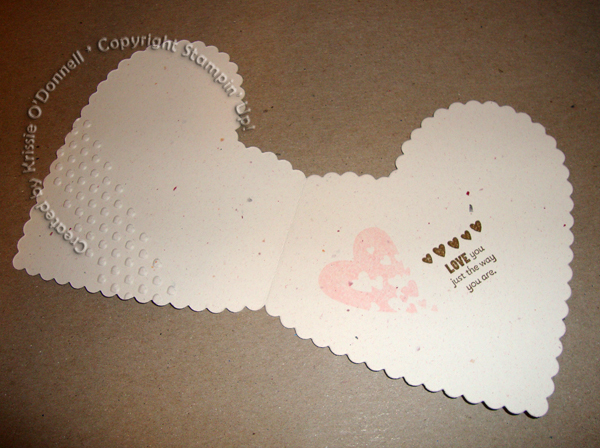 The largest scallop heart makes a great card shape, as long as you tilt it to its side, it still fits in an envelope. So this is what we made in a big shot technique stamp camp in January. 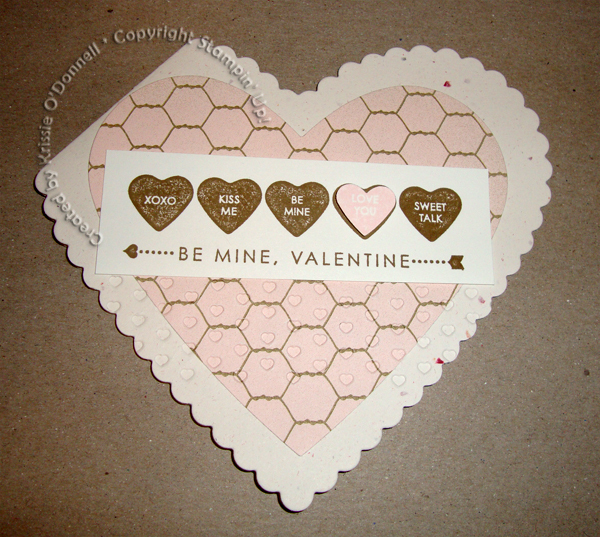 I used confetti white CS, and cut it out with the Framelits heart scallop heart. 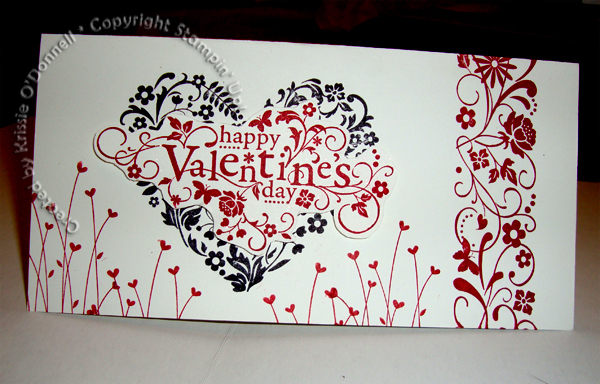 I layered it with Beau Chateau DSP cut out with another framelits heart. 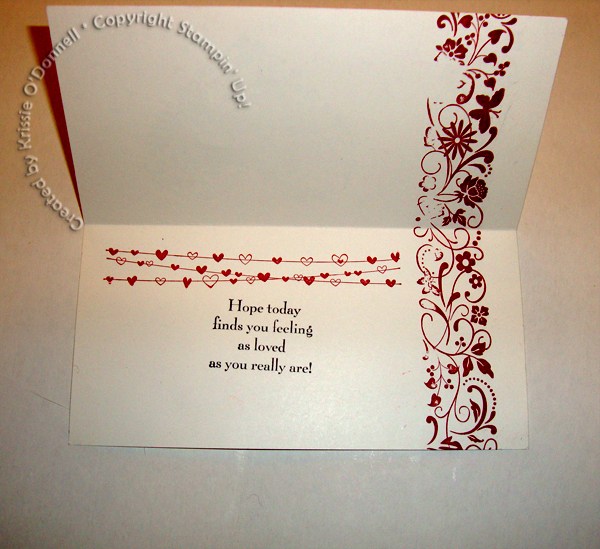 I used our new decorative edges embossing folder (3 to a package, this one is the hearts, the other two coordinate with the framelits edgelits). I used the Candy conversations stamp in Soft Suede and topped it with a pink pirouette heart that was punched with our small heart punch. On the inside I used the Sale-a-bration set called Sprinkled Expressions. Here’s the valentine I made for my husband. None of the sets are available right now. 1 retired last year and the other was available in the Holiday mini. I’m crossing my fingers that it will come back to the catalog though because the You are Loved set is so beautiful. It is very ME. 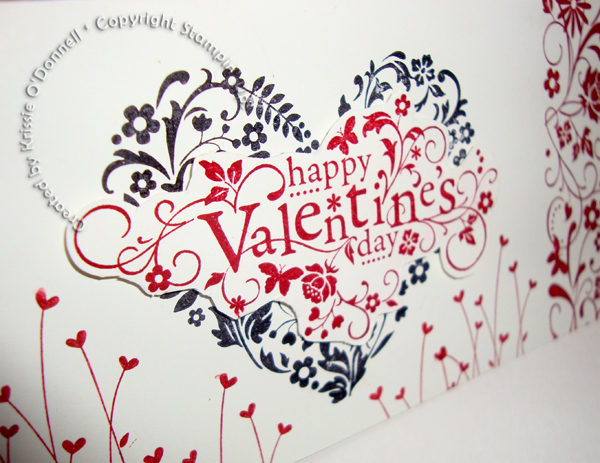 Hope you had a fabulous Valentine’s day!